The participants in the 2019 Youth Music Video Competition (YMVC) have been announced! YMVC is an annual competition held by First Cut! Youth Film Festival in partnership with Feel Good Lost. It offers six young emerging filmmakers the opportunity to create a music video under the mentorship of noted director Brendan Canty and producer David Lester Mooney from Feel Good Lost. As part of this process, Feel Good Lost draws on its extensive knowledge of the Irish music scene and network of musicians to curate a musical track for each participating filmmaker to make a video for. According to Feel Good Lost, this year’s YMVC yielded the most promising applicants yet! 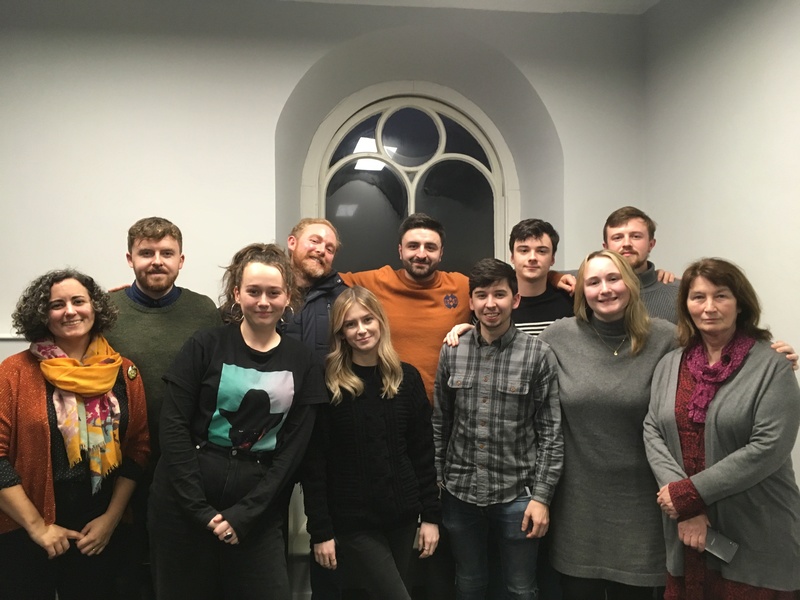 The six selected participants met with Feel Good Lost for a day long workshop in December, and have just received their tracks. Armed with a brief from the bands they are working with, each of the filmmakers now have eight weeks to make their video. The resulting videos will be premiered at a special YMVC screening that closes the 2019 First Cut! Youth Film Festival on Saturday March 9th at the Regal Cinema, Youghal. Following a discussion panel with the participants after the screening, the Best YMVC Music Video award will be presented. Elena Horgan is a filmmaker from Cork. She has just graduated from four years of study at the National Film School, Ireland. Her latest short film, Skin Hunger, has been screened at festivals both worldwide and at home in Ireland. She hopes to continue developing her craft in New York, where she plans to move in the new year. Robert Montgomery is currently doing a BA in Film Production. He started filmmaking at 17, making videos and films on his Iphone. After years of practice, he found a love for making music videos. He is visually driven with a strong interest in thrilling psychedelic narratives. Eva Wyse is a writer/director from Dublin. She graduated from TCD last year with an undergrad in Film Studies and Drama Studies which included an exchange semester spent at Columbia University. Eva recently completed a masters in Screenwriting at Screen Academy Scotland. She divides her time working as the in-house production assistant at a long-established production company in Dublin and working on her own writing and filmmaking projects. Ben Kavanagh is a Ford Quercus Creative and Performing Arts Scholar, studying Film and Screen Media in University College Cork. Ben is a director, cinematographer and editor hailing from Tralee. Ben set up his own film & media company at 15. His work has been screened at dozens of film festivals, both nationally and internationally, including Dublin, Toronto, Los Angeles and New York. Conor McCormick is a writer/director from Drogheda, Co.Louth. He is a recent directing graduate from the National Film school in Dublin. Conor has a huge interest in heavily character driven stories. Naomi Fagan is a writer/ director from Dublin. She graduated from The National Film School at IADT in 2017. Her graduation film Jelly Baby premiered at the Galway Film Fleadh. Naomi has in interest in character driven stories with a social eye. Next post: Record Open Call Response!